Have you noticed my excitement for my upcoming trip to The Disneyland Resort? Flights are booked, hotel reservation made (Grand Californian!) and even one dining reservation is set (Napa Rose). 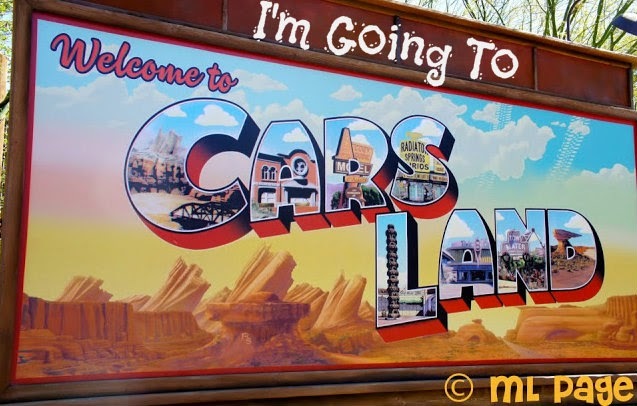 - Go on the tour "Walk in Walt's Footsteps"
Everything I have read and heard about Carsland - I've heard that this attraction is the best attraction, possibly ever. It's been compared to Splash Mountain for it's incedible storytelling and the racing! It's not just Test Track! I can't wait to enter Radiator Springs and drive around Carburator County. I'm excited to experience it all - so I can write about it, and be able to help other people plan their own Disney vacations! I would love to help you book a Disney trip! Remember, all services are completely free and come with extras! Staying at Grand Californian!!! I am envious. I hope you all have a terrific time and I can't wait for stories and photos. I am SO excited for that - I sort of wanted Disneyland Hotel for the awesome bed/pool, but I'm pretty sure I won't be complaining!